Indian tri services along with ICG and NDRF respond in very quick by assisting the injured victims who caught in the alleged fire caused by fire crackers kept to celebrate the temple function. The tri services dispatched service medics and para medic teams quick from the respected southern garrisons, Navy and Air force is the first respondent who assisted the injured peoples. The Armed forces not only for war fighting, They are the only responsible associate who can handle any worst situations, not only in Kashmir, Uthrakand and Nepal this time military garrisons in south respond very quick by sending medical support to the injured victims. 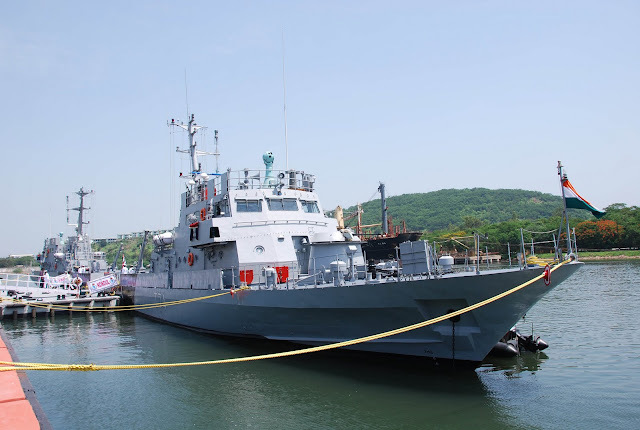 Indian Navy who responded with car nicober class patrol vessel, and an OPV plus air wings such as naval Dhruv and Do 228. who carried medical equipment, field hospital equipment, along with doctors and para medical personnel. They were also heli dropped close to the ground zero to evacuate victim in the needy. The fire which was caused by fire crackers burned the entire place more than three hours in the early hours of Sunday. it even cracked some of the buildings roofs and destroyed nearby structures. which causes more injuries. The death toll increased due to the high degree celsius that the fire crackers usually emit. So the injured persons need medical assistance from burn specialists and accident specialist doctors, many of the injured victims are the one who runs for cover during the tragedy. Most critically injured peoples taken to nearby Medical college hospital, Doctors who are all on leave also called in for emergency. Air force also dispatched a team of Doctors who are specialists in burn injuries, who air lifted by An 32 from Arakonam Chennai, another airbase in Sulur also dispatched Mi 17 helicopters along with para medical teams, and medical supplies. The Prime minister also alerted the NDRF team, along with voluntary doctors from Delhi, they were boarded into an IAF special mission flight Boeing BBJ. They were setuped field hospitals and assisted the state police in the search and rescue works. within a matter of time, the military command worked so well and dispatched a good team to the ground zero, an impressive help from the Soldiers, which gives lives to many injured peoples. There is a need of Blood also, The ICG sailors and Navy personnel along with local citizens voluntarily provided enough blood to the needy. The situation is almost under control now, that no one failed to get proper medical or any other support from the State police or from the Indian armed forces. The ships who sailed from Kochin reached the kollam fishing harbor by early 3 pm with the medical supplies, So far the casualty figures are well controlled, and the injured victims also recovering well. It's once again an impressive quick response from the tri services for the national disaster, the Armed forces are all over India, they assist peoples in Southern corner to Northern, from western end to eastern fronts.